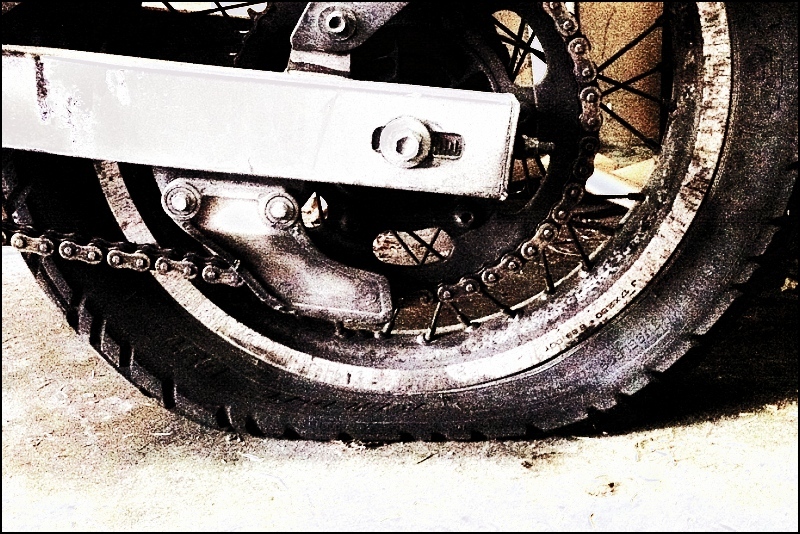 Mike got home Friday night with a flat on the TransAlp. Our best guess is that he picked up the nail within a few blocks of the house, given its size and sidewall placement. Rear tire size: 130/80-17.